Clariant, a world leader in specialty chemicals industry, has recently announced that it will be expanding its EnviCat series of catalysts to include high-performance solutions for SCR (selective catalytic reduction) and to combat nitrogen oxides (NOx). According to reports, the new NOx abatement series of catalysts offers a comprehensive emission control for most of the upstream & downstream processes in the industrial & chemical applications. For the record, the EnviCat NOx catalyst is an extruded block made of vanadium composite, shaped like a honeycomb, and is designed to assist NOx reduction reactions in an oxidizing atmosphere. Using ammonia as a reducing agent, EnviCat NOx can considerably reduce the nitrogen oxide levels and convert the pollutant into nitrogen & water. Clariant at the IE Expo China 2018 demonstrated the EnviCat NOx SCR to significantly lower the NOx emissions from gas-fired exhaust streams. For those uninitiated, NOx constitutes of two main elements – nitrogen dioxide (NO2) and nitric oxide (NO), of which the former is listed among the six Criteria Air Pollutants that falls under the Clean Air Act by the U.S. EPA (Environmental Protection Agency). NOx, being a product of fossil fuel combustion and other industrial processes, contributes immensely to the formation of acid rain, smog, ground level ozone, and other environmental hazards that leaves a harmful impact on human health, wildlife, and environment. 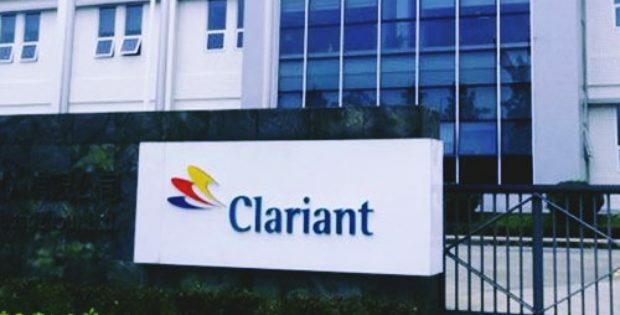 Stefan Heuser, general manager and senior vice president, Clariant, reported in a statement that the company is pleased to offer this vital addition to its catalyst emissions reduction portfolio. He further said that the new technology is not only proving to be highly effective in curbing harmful effects of NOx, but is also enabling cost-effective emissions solutions for both downstream & upstream businesses. It has been reported that the EnviCat NOx SCR will be available in module designs of different cell densities and lengths.